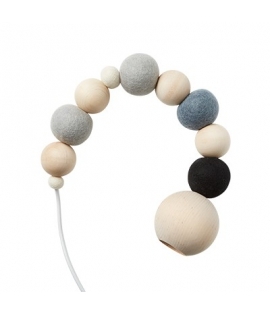 Home wonen>verlichting>Wow Lamp Grijs / Zwart "Aveva"
Wow Lamp Grijs / Zwart "Aveva"
Wood & wool as a playful combination of hard and soft materials, colorful and natural. 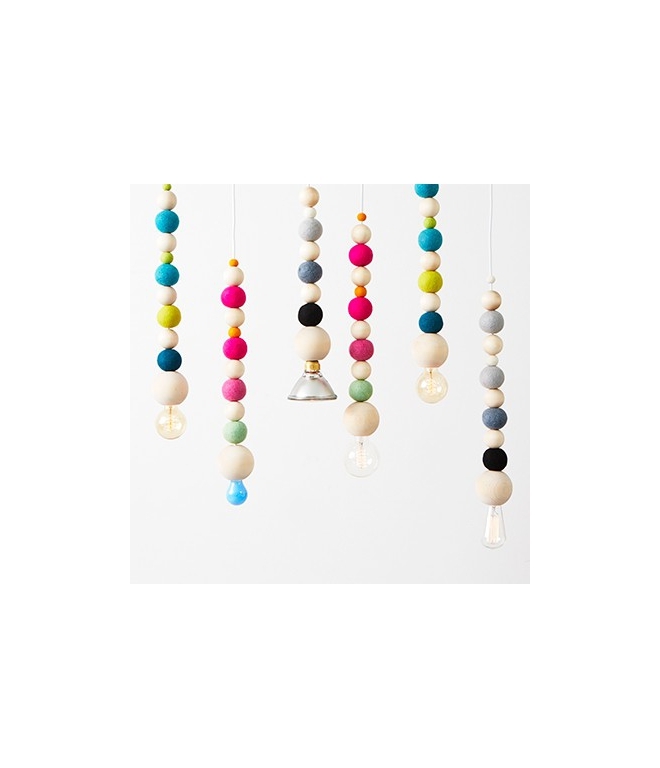 WOW lamp comes in different color combinations. 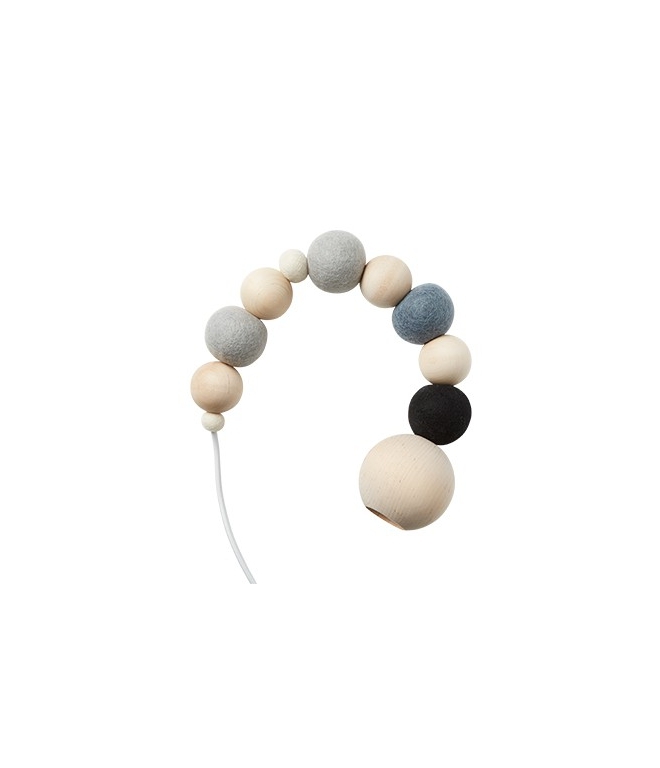 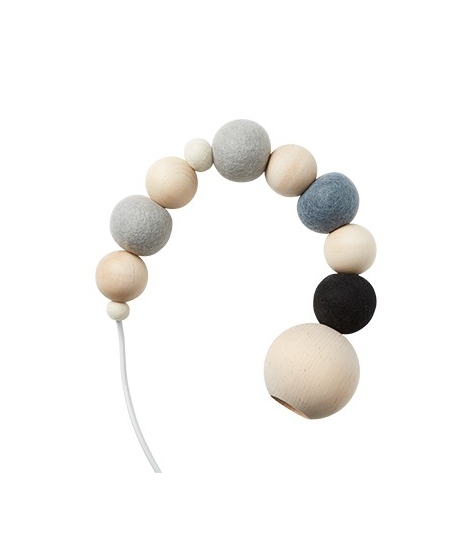 A playful rope of textile cable and balls of wood & wool.